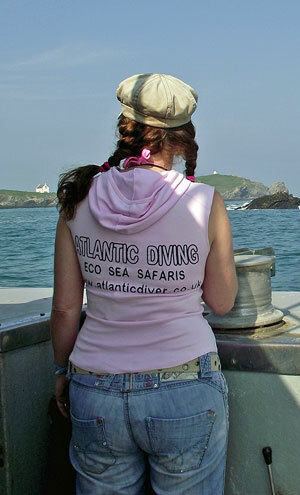 Chris and Annabelle Lowe have been running "Atlantic Diving" for about 25 years and in that time have gained a tremendous amount of knowledge about the diving and the wrecks on the North Cornwall Coast. 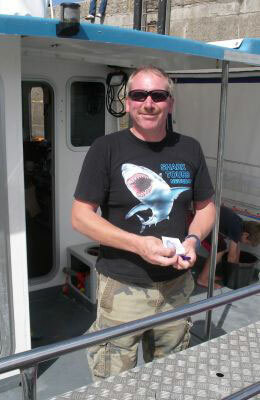 In the last couple of years they have ventured into the Marine Wildlife side of the business including Cage Diving with Blue Sharks, Snorkelling with Basking Sharks and their very popular Newquay Sea Safaris. They currently run two 10m boats, one a Blyth Catamaran the other a Suffolk 33. Both boats are available for a wide range of boat charter. Chris holds a Yachtmaster Offshore Certificate which allows him to skipper any vessel up to 24m in length and up to 200 tons and is commercially endorsed. He has many thousand of sea miles under his belt.